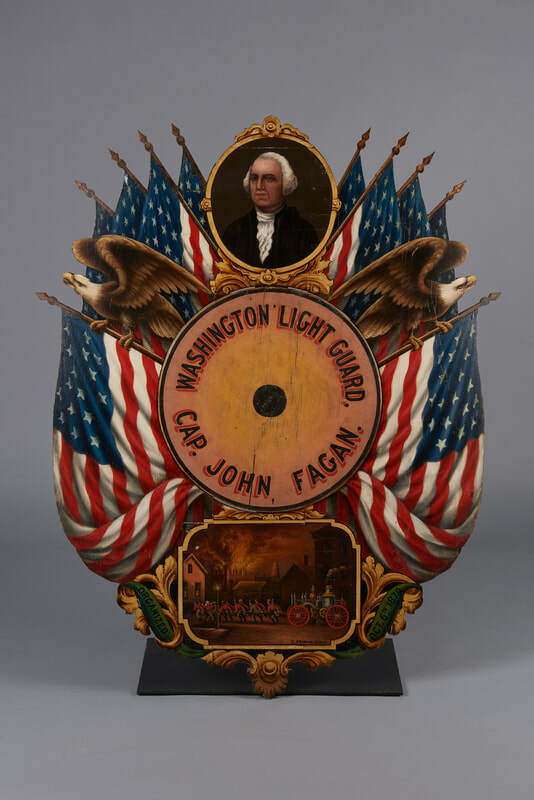 This panel commemorates the organization of the Light Guard under Captain John Fagan on October 6, 1879. The panel retains the original paint on a pine panel painted by Edward Kranich (1826-1891) from Elizabeth, NJ. See object files for a biography of Edward Kranich.